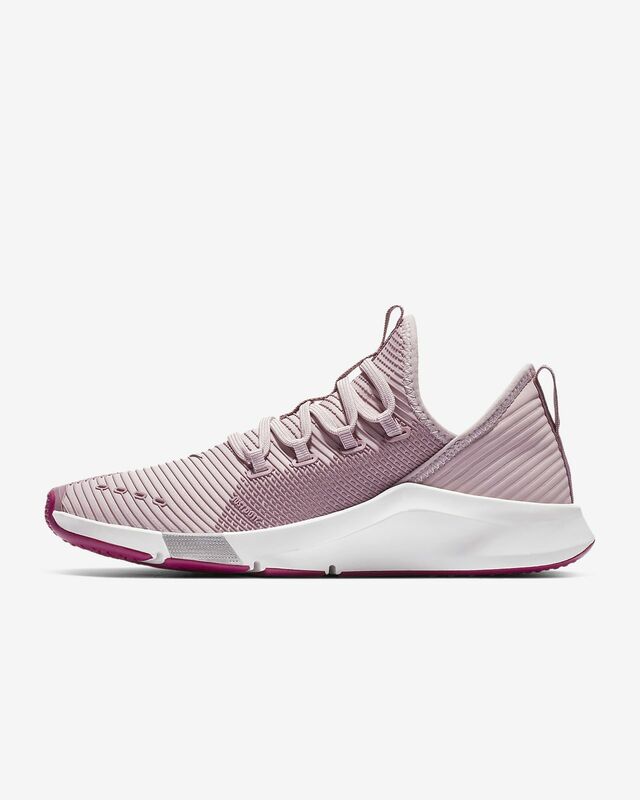 The Nike Air Zoom Elevate Women's Gym/Training/Boxing Shoe combines a lightweight upper with the responsiveness of Nike Zoom Air cushioning for comfort that lasts through your toughest workouts. The Nike Air Zoom Elevate Women&apos;s Gym/Training/Boxing Shoe combines a lightweight upper with the responsiveness of Nike Zoom Air cushioning for comfort that lasts through your toughest workouts. I love these shoes and specifically wear them for HIIT work outs in the gym, using the floor + weights and treadmill. I realllly like them because they are study but very comfortable. They don't feel like their gonna slip off my feet like ultraboosts when I'm doing more lateral movements. I was pleasantly surprised that I like the fit on these sneakers. I just them for interval training and HIIT workouts.